KLAUS KINSKI È LA FONTE D'ISPIRAZIONE PER LA FRAGRANZA MASCHILE CHE PRENDE IL SUO NOME: KINSKI. IL LEGGENDARIO ATTORE TEDESCO (1926-1991), CELEBRE PER LE SUE COLLABORAZIONI CON IL REGISTA WERNER HERZOG, È FAMOSO ANCHE PER IL SUO LIFESTLE NON CONVENZIONALE. LA FRAGRANZA È PRODOTTA CON LA LICENZA DELLA KINSKI PRODUCTION, CHE L'HA VOLUTA PER CELEBRARE IL VENTESIMO ANNIVERSARIO DALLA MORTE DELL'ATTORE. KINSKI È UNA FRAGRANZA RICCA, DAL SAPORE DECADENTE, CHE SI APRE CON NOTE DI CASSIS, GINEPRO E CASTOREUM. IL CUORE DI AROMI OCEANCI - ISPIRATI ALLA PASSIONE DI KINSKI PER IL MARE - E LE NOTE DI FONDO LIGNEE, CHIUDONO LA PIRAMIDE OLFATTIVA. KINSKI È IRRESISTIBILE, VIRILE, SENSUALE ED AVVOLGENTE. 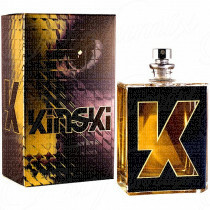 KINSKI IS A PERFUME CREATED IN HONOR OF ACTOR KLAUS KINSKI. 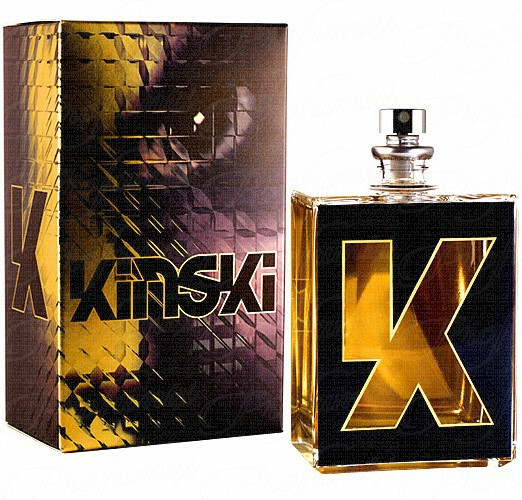 "PRODUCED UNDER LICENCE TO THE KINSKI PRODUCTION TO MARK THE 20TH ANNIVERSARY OF THE ACTOR’S DEATH, KINSKI THE FRAGRANCE IS A RICHLY DECADENT, TEXTURED SCENT WITH HEADY TOP NOTES INCLUDING CASSIS, JUNIPER AND CASTOREUM; A HEART WITH OCEANIC NOTES INSPIRED BY KINSKI’S LOVE OF THE SEA; AND A BASE OF ANIMALIC AND WOODY NOTES THAT REFLECT HIS OWN ALMOST FERAL SENSUALITY." NOTES: CASSIS, JUNIPER BERRY, SCHINUS MOLLE, CASTOREUM, MARIJUANA ACCCORD, NUTMEG, PLUM, ORCHID, MAGNOLIA, ORANGE FLOWER, ROSE, BENZOIN, VETIVER, CEDAR, PATCHOULY, STYRAX, CISTUS, GINGER, MUSK, MOSS, AMBERGRIS KINSKI WAS LAUNCHED IN 2011. THE NOSE BEHIND THIS FRAGRANCE IS GEZA SCHOEN.